Sometimes it’s difficult to pick a destination in Europe. There are so many fascinating cities and attractions that it can be almost too much to sort through. For that reason, it can sometimes be best to simply follow your interests. In this post we want to highlight some of the best sporting destinations around the continent, and not just for sports junkies. The truth is that sometimes the best cultural experiences you can get when you’re exploring a country are at sporting venues, where locals and tourists alike let loose to celebrate their favourite teams. Plus, some of the venues themselves are pretty impressive to behold! Without further ado, here are our picks for the best sporting destinations in Europe. There are countless professional tennis tournaments all around the world, but four count more than all the rest. Those four—the “Majors,” or “Grand Slams”—take place in Melbourne, Paris, London, and New York. That’s not a bad travel list all on its own if you want to focus on tennis tourism! Wimbledon (the one in London) is the most majestic of the bunch. Another write-up of some of the greatest sporting events in the world professed that this might be the most famous one, and even watching on TV it’s easy to see why. Something about the tournament, between the white-clad players, the elegantly maintained court lawns, and the joy of those in attendance, just exudes prestige. Attending is expensive but very worthwhile even if you’re not a tennis fanatic. The Formula 1 schedule of events is complex, particularly given that different fans value different things. Overall, the sport involves a 20 Grand Prix calendar, with fans focused on different cities, which drivers finish in the top six or top three, and ultimately which drivers win the most over the course of the season. 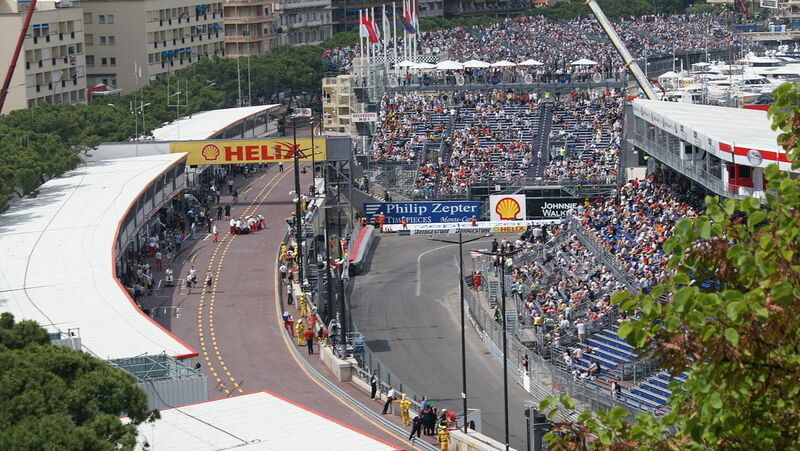 Even with all this factored in, the Monaco Grand Prix can feel like the pinnacle of the sport. It’s the rare sporting event that seems to pause real life in a city for a few days, first for warm-up trials and then for the race itself, which takes over the beautiful streets of Monte Carlo. It’s fun, festive, and unforgettable—especially if you splurge for seating on one of the yachts docked in the city’s famous harbor. If there’s one sporting event built for tourists, it’s the Tour de France. That’s because the event itself actually spans most of France. The course changes from year to year, but it’s specifically designed to test cyclists with all kinds of different challenges and terrains, and that usually means exploring as much of the country as possible. As a result, attendance can be a something of a challenge if you want to see much of the action, as you’ll need to stay a step ahead of the race moving from stage to stage and staking out your roadside vantage points. That also makes the Tour de France a perfect excuse to travel all around the country for a few weeks. El Clasico is the name that’s been given to the annual clashes between Barcelona and Real Madrid—two of the biggest rivals in European football, and incidentally two of the best club teams in the world. It’s a tough ticket to find, but worth the price as you’ll get to see some truly world-class performances and some of the most passionate fan bases anywhere. To give you an idea of what a big deal this match-up is, there’s even an El Clasico exhibition happening in Miami this year. It’s such a major event, they’re taking the show on the road—not your typical activity for a sports rivalry! next post: Think there’s not much to do in El Paso? Think again!